Just five months ago, Russian poker pro Igor Kurganov catapulted himself into the poker limelight after winning the 2012 EPT Grand Final (Monte Carlo) along with €1,080,000 ($1,425,874). Now he’s a strong candidate to capture an English Poker Open title in the same year after topping Day 1A of the 2012 EPO. The Russian poker pro has 117,450 chips, which is just ahead of England’s Rhys Jones and his stack of 116,100 chips. Ian Simpson, who finished fourth in the 2012 Irish Open (€107.5k), is currently sitting in third place with 103,625 chips. He’s followed by Matthew Frankland (99,175 chips), who’s certainly no stranger to the English Poker Open. 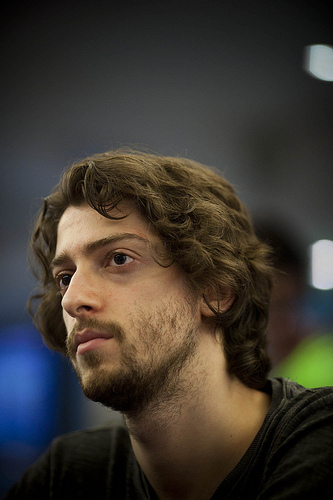 Frankland finished third at the 2010 EPO and collected a £77,400 ($119,400) prize. Londoner Marvin Babul settled into fifth place with 92,725 chips, and he’s trailed by Swedish poker legend Chris Bjorin (86,575 chips). Bjorin, who now lives in London, is first on Sweden’s all-time tournament winnings list with $5,292,483. It’s nice to see the defending EPO champion, Fabian Quoss, doing well too since he’s seventh in chips with 81,850. Quoss collected a £220,650 ($340,409) payout for capturing the 2010 EPO title. Poker stars Neil Channing (8th, 78,875) and Sam Trickett (9th, 77,900) also finished near the top of the Day 1A chip counts. Trickett established himself as a chip leader early on, while Channing built his stack up later in the day. Fresh off his victory at the Unibet Open London tournament (£85,050), Pratik Ghatge rounds out the top 10 with 70,475 chips.